Jam City, a Los Angeles based mobile games studio, announced today that the new mobile game Harry Potter: Hogwarts Mystery is available to download now on the App Store and Google Play. 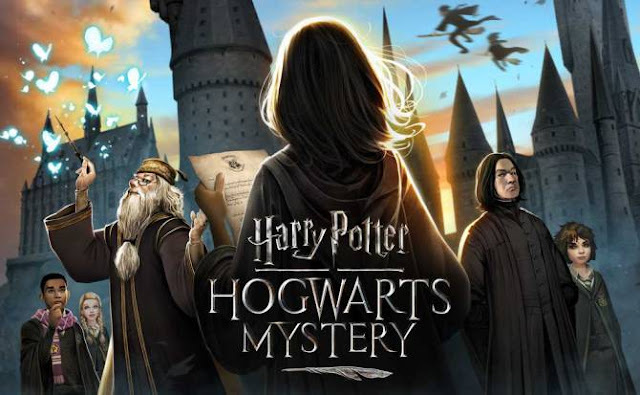 Developed by Jam City in partnership with Warner Bros. Interactive Entertainment, Harry Potter: Hogwarts Mystery is the first mobile game where players create their own character and experience life as a Hogwarts student. The game will launch under Warner Bros. Interactive Entertainment's Portkey Games, a label dedicated to creating new mobile and videogame experiences that place the player at the center of their own adventure, inspired by J.K. Rowling’s original stories. "Being involved in the making of the Harry Potter: Hogwarts Mystery mobile game will give great pleasure to my grandchildren,” said Dame Maggie Smith, voice of Professor McGonagall in the game. Harry Potter: Hogwarts Mystery is free to play and is available NOW on mobile devices via the App Store and Google Play. For more details on Harry Potter: Hogwarts Mystery, and to connect with other Harry Potter fans, visit www.facebook.com/HPHogwartsMystery/ , www.twitter.com/HogwartsMystery , and for more information visit www.HarryPotterHogwartsMystery.com/ . Jam City is a global leader in mobile entertainment, providing social gaming experiences for millions of players around the world. Jam City was founded in 2010 by MySpace cofounders Chris DeWolfe and Aber Whitcomb, and former 20th Century Fox executive Josh Yguado. Jam City is the creative powerhouse behind some of the highest grossing and most enduring social gaming franchises for mobile, including Cookie Jam (Facebook “Game of the Year” winner) and Panda Pop. Jam City is the go-to studio for Hollywood, having developed immersive, narrative rich mobile games around iconic entertainment brands including Harry Potter, Family Guy and Marvel Avengers. Jam City has 500 employees across studios in Los Angeles (HQ), San Francisco, San Diego, Bogota and Buenos Aires. The Jam City team is known for its creative excellence and technological innovation in key areas including storytelling, data science and consumer insights. Portkey Games, from Warner Bros. Interactive Entertainment, is the games label dedicated to creating new Wizarding World mobile and videogame experiences that place the player at the center of their own adventure, inspired by J.K. Rowling’s original stories. Portkey Games offers players the opportunity to make their own narrative choices and engage with the Wizarding World setting to discover new and unique experiences. The label was created to bring gamers and fans new gaming experiences that allow them to delve into the Wizarding World in immersive ways where they can create their own magical story. Harry Potter continues to be a global phenomenon. Each of the seven books by author J.K. Rowling has broken sales records, with the series to date having sold over 500 million copies worldwide and translated into over 80 languages. The Harry Potter films, produced by Warner Bros. Pictures, have grossed more than $7.7 billion to date worldwide at the box office, making Harry Potter one of the largest-grossing film franchise in history.